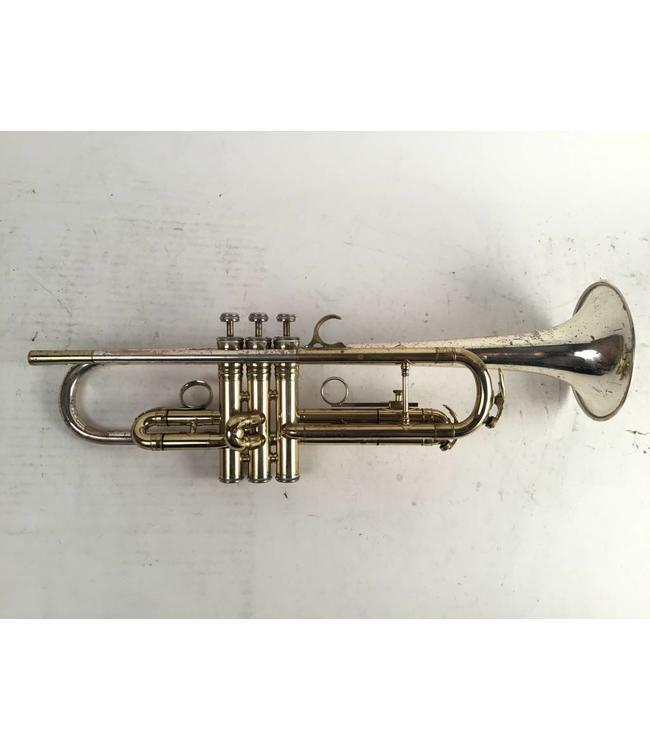 Used King SilverSonic Super-20 "Symphony" model Bb trumpet with sterling silver bell and leadpipe in lacquer finish. Lacquer wear throughout, not effecting play ability. Comes with case.